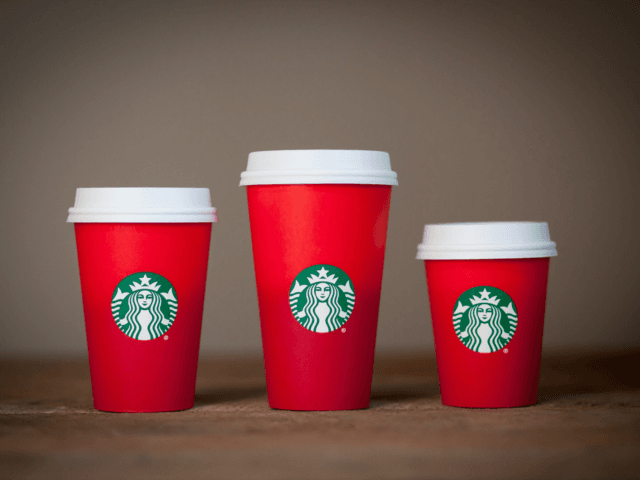 Starbucks faces criticism from politicians and campaign groups today after it decided to remove all references to the festive season from its Christmas red cups, as revealed earlier on Breitbart London. This year, however, the chain has decided to remove all festive imagery from its cups and instead have a plain red cup. But, Tory MP David Burrowes has criticised the move. He told Breitbart London: “The Starbucks coffee cup change smells more of political correctness than a consumer-led change. His concerns were echoed by Christian groups who branded them “scrooges” and accused them of trying to hide the religious message behind Christmas. And more have piled in, with Andrea Williams of Christian Concern saying: “This is a denial of historical reality and the great Christian heritage behind the American Dream that has so benefitted Starbucks.